The two are starring in a movie titled Tera Intezaar, and Arbaaz says that he did it just for her. Sunny Leone kick-started her career in India as a contestant on Bigg Boss, when Salman Khan and Sanjay Dutt were hosting the show. While Sunny has already done an item number, Trippy, in Sanjay Dutt’s Bhoomi, life may come a full circle for the actress now as she is likely to be seen in a special number with Salman in Dabangg 3. Salman’s brother and Dabangg 3’s producer, Arbaaz Khan, seems rather fond of her. 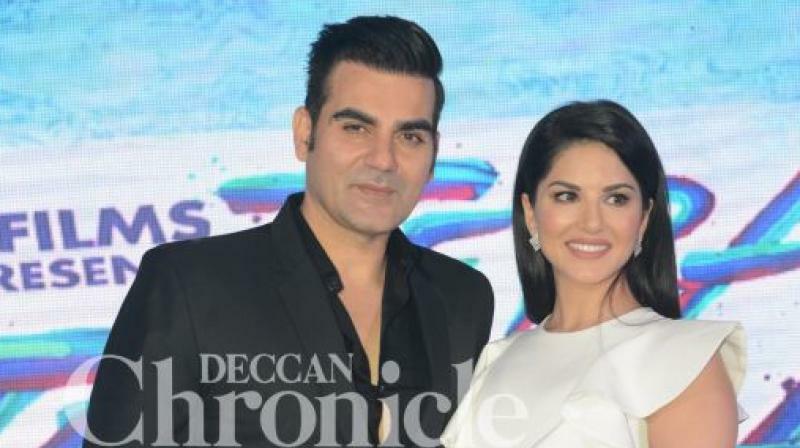 The two are starring in a movie titled Tera Intezaar, and Arbaaz says that he did it just for her. “I got to know that she was the female lead, and hoped the script was good enough for me to do the film. Till now, the best thing about the movie has been getting to know her, and I hope the film does well too,” he says, smiling. Quiz him if he’s doing better since his divorce from Malaika Arora and he laughs. “Yes, I’m happy. Do you want me to be depressed? No, I’m doing well. I’m working on scripts and doing films as an actor as well,” he adds.